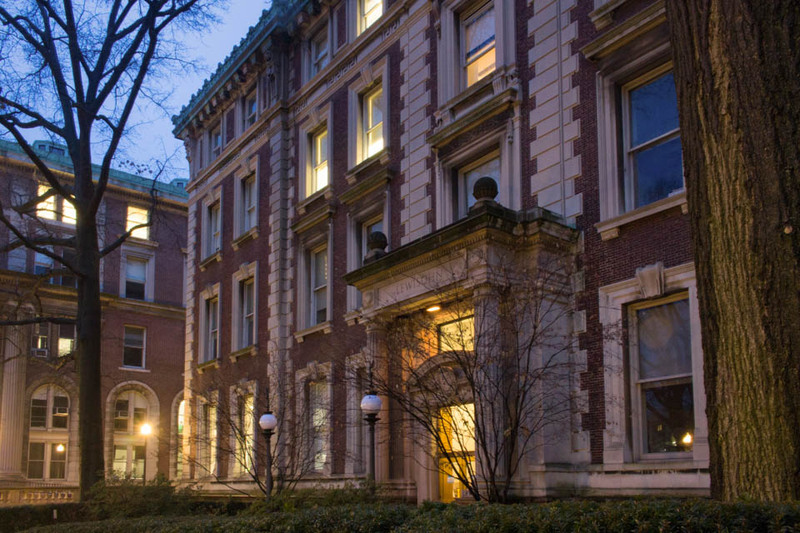 The amended lawsuit now claims that Columbia also effectively forced Politis out of the University by restricting available resources and personnel so that Politis could not finish her classes. A lawsuit filed against Columbia and former General Studies Dean of Students Tom Harford was amended on Thursday to include new details of Harford’s alleged history of repeated sexual harassment as well as the University’s failure to address it, claiming that Columbia had knowledge of prior reports of his misconduct. The amended suit also alleges that the University retaliated and effectively forced the plaintiff to go on medical leave and subsequently drop out of school. Filed after the announcement of Harford’s removal from his position last August, the initial lawsuit alleged that Harford subjected former GS student Irene Politis—who chose to publicize her name today after originally going under the pseudonym “Jane Doe”—to repeated and inappropriate sexual activity, using his control over her housing, psychological services, and Columbia resources as a way to coerce her into maintaining their relationship. Politis alleged in the suit that she and Harford regularly engaged in sexual acts before and after meetings to arrange her scholarship payments. The original suit also outlined Columbia administrators’ alleged knowledge of Politis’ situation; on some occasions, the suit claimed that she and Harford would engage in sexual acts in his office, of which she believes neighboring administrators were aware. The complaint detailed that Sexual Violence Response employees raised the issue of Harford’s cash payments with administrators after she brought it to their attention and that Politis’ academic advisor also questioned their constant contact. The amended lawsuit now claims that Columbia also effectively forced Politis out of the University by restricting available resources and personnel so that Politis could not finish her classes. Politis alleges that because she could not speak with needed administrators for disability accommodations and financial aid, she took a leave of absence during the fall 2018 semester and was evicted from her housing in January 2019. Also included in the amended suit are new details regarding Columbia’s knowledge of Harford’s alleged harassment of a subordinate when he served as associate dean of Columbia’s School of Professional Studies in 2011 and harassment of a female co-worker in 2013 when he served as GS Dean of Students. According to David Sanford, a lawyer representing the plaintiff, his team has not yet reviewed the evidence surrounding the University’s investigations of those two instances and thus cannot make conclusions about the University’s process in addressing the complaints. A statement from a University spokesperson emphasized that Columbia removed Harford in August immediately upon learning of allegations against him, prohibiting him from returning to campus thereafter. It also stated that Columbia worked with Politis to provide resources and guidance, including housing, denying that the University asked Politis to leave her apartment. An initial case management conference will take place with a federal judge at the end of January, at which point a schedule will be set for evidentiary review and future trial dates.